X-ray technology uses electromagnetic waves to create images of the inside of your body. X-ray technology was first discovered in 1895 and was a significant stride forward in the medical community. They have come a long way since they were first invented. 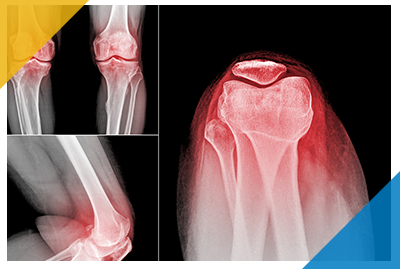 Modern day x-rays can view not only your bones, but can now image microscopic biological cells. X-rays allow doctors to see inside your body without any need to cut into you, which makes diagnosing and treating diseases a lot easier. While x-rays are primarily used for diagnostic purposes (i.e. detecting cancerous tumorous or viewing bone fractures), they can also be used for cancer treatments. Many people worry that an x-ray will send a harmful amount of radiation into their body. However, the risks of radiation exposure from diagnostic x-rays are low and the benefits of having the procedure far outweigh the risks. What does an X-ray Procedure look like? In most cases, there are no special preparations needed before your x-ray examination. However, in some instances, you may be required to fast beforehand. Your radiologist will let you know if you need to do so. Show up to your appointment dressed comfortably and with minimal amounts of jewelry or metal objects. You will likely be asked to remove these before your procedure. Although, if you are pregnant, or have any reason to believe you are, make sure you say something before getting your x-ray done. While the effects of x-rays are generally safe, your doctor or radiologist may want to take a different route if you are breastfeeding or pregnant. When you first sit down for your x-ray, a technician will position your body to obtain the necessary views. X-ray procedures are painless and you won’t be in any pain during or after the procedure. During the x-ray, you must stay still — you may even be required to hold your breath. This will help prevent blurring the images. X-ray procedures can range from a few minutes to a longer than an hour, depending on what type of x-ray is being done. 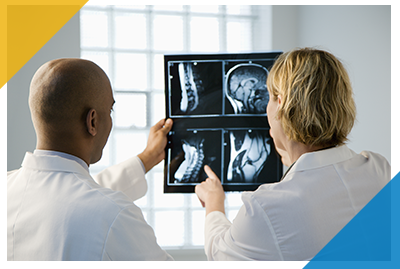 Your radiologist will give you a heads up as to how long the procedure will take. After an x-ray, you should be able to go about your day as normal. Any felt side effects, however, should be noted and reported to your doctor. After the exam is over, we will compile, review, and send your results directly to your primary care physician. After that, you will meet with your doctor to discuss the results and how to proceed from there. At North Pittsburgh Imaging Specialists, we believe our care services are second to none. We make sure you’re taken care of from your initial consultation until your doctor has all they need to proceed. Contact us and let us know about your x-ray needs today.